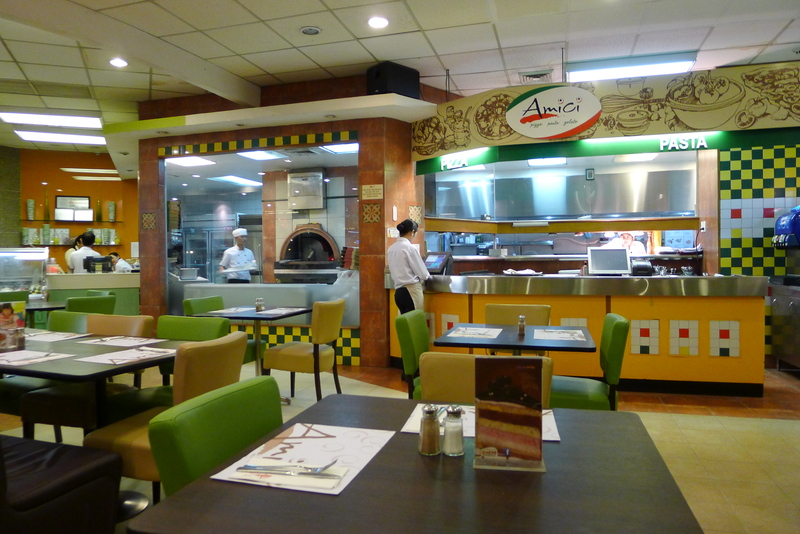 Good thing about Amici Tomas Morato, Quezon City is that they have valet! 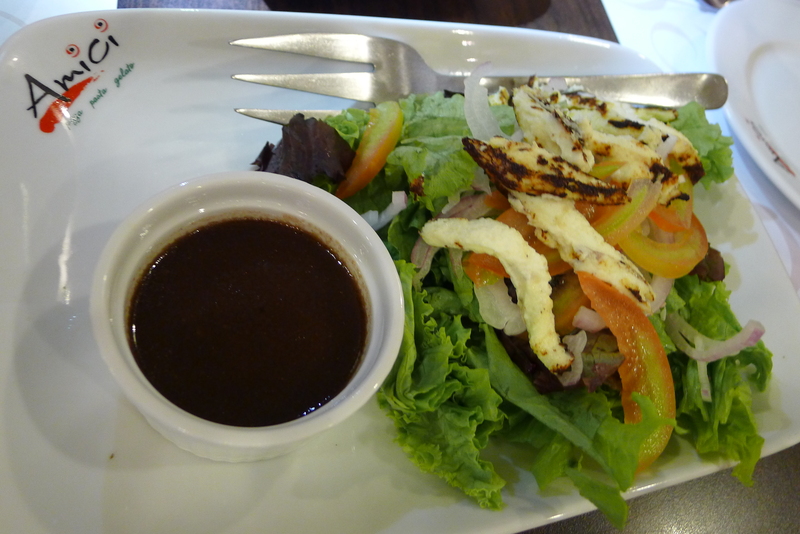 Finding an empty parking space around Tomas Morato is bothersome so it’s really added points to restaurants that offers valet parking. We went there on a Monday night so the tables were not full. The place was spacious and neat. It is also a good place for long conversations considering we were there for more than two hours. I don’t like the color of the place though, especially the chairs. For some reason, I think they chose a cheap shade of yellow and green for an Italian restaurant. 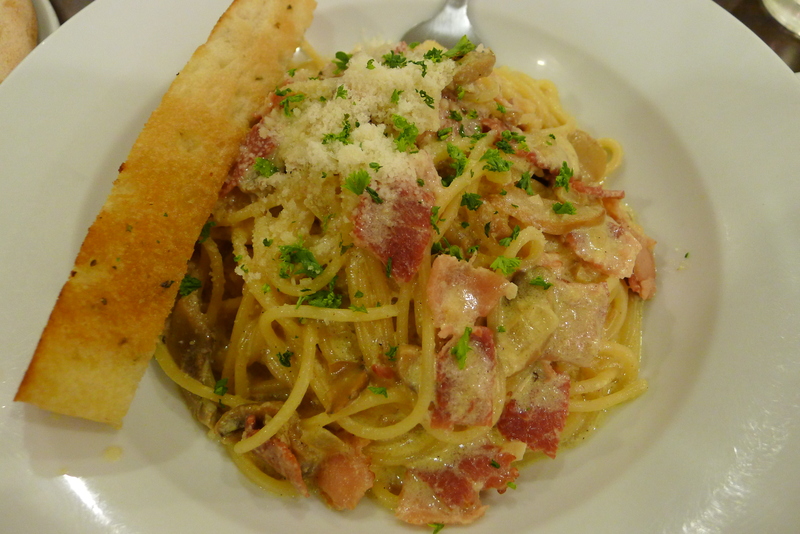 We loved the Bolognese and Carbonara. 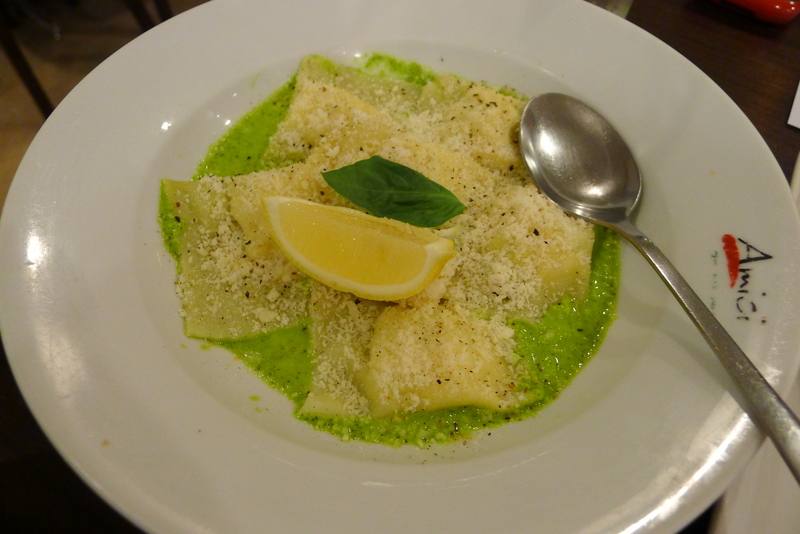 The ravioli was nothing spectacular, except the fact that it’s color green (just like the chairs). 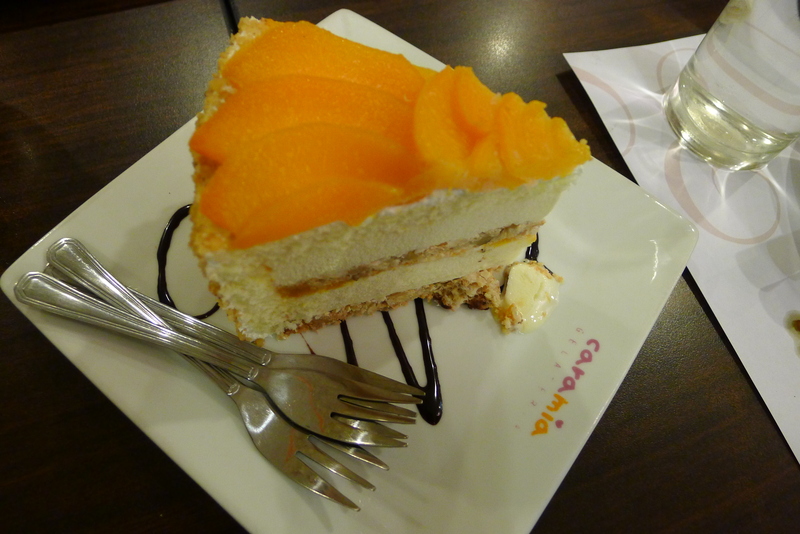 What is really worth mentioning though is the Peach Walnut Ice Cream cake. It’s really good! 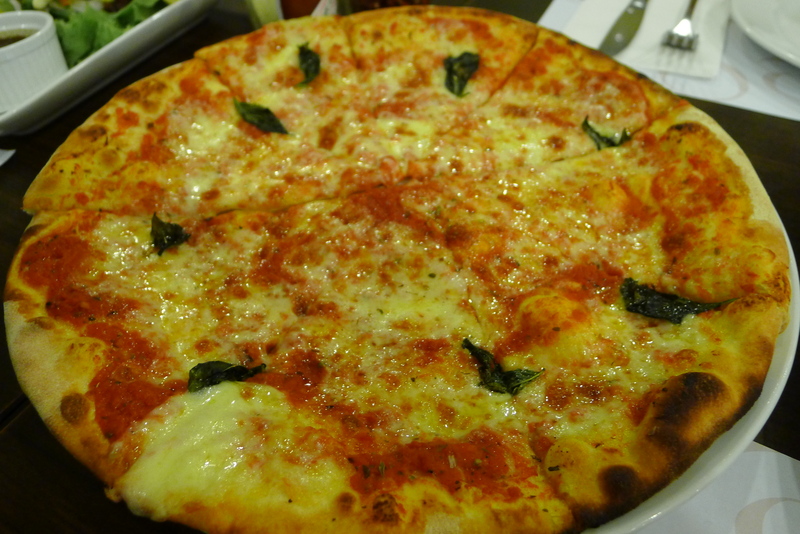 I can see myself dropping by Amici one of these days for a slice. 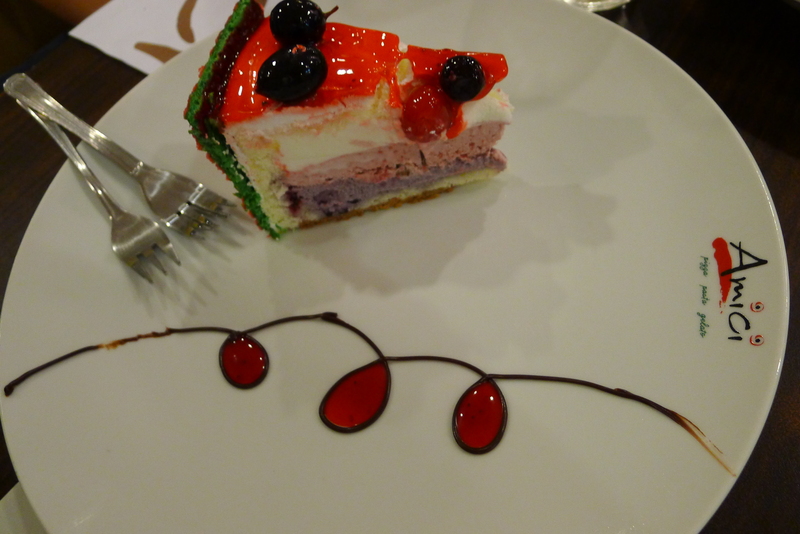 I’m not a fan of strawberry so I really have nothing to tell about the Rouge Ice Cream Cake, though my friends who took a bite of it said that it was good. I guess we were really mesmerized by the ice cream cakes! 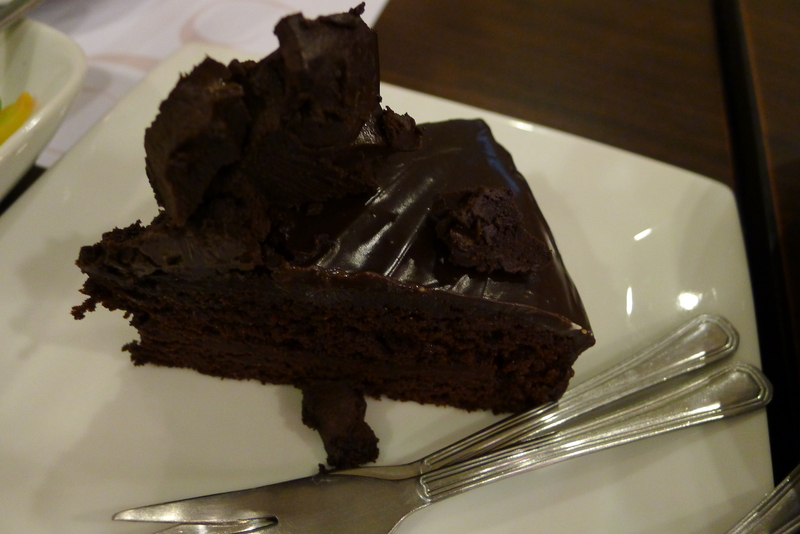 The chocolate cake is also good. It’s like the Classic Chocolate Cake sold at Starbucks Coffee. The rest of the food was okay. As for the service, we didn’t have any problems, except that they don’t have the cream based ravioli we ordered (Sorry, I forgot the name). 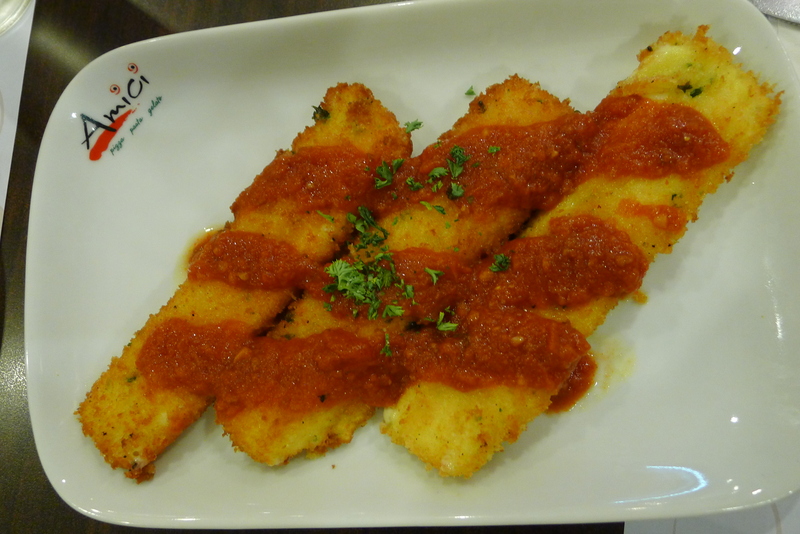 That is why we opted for Ravioli di Pesce Mousseline as a second choice. 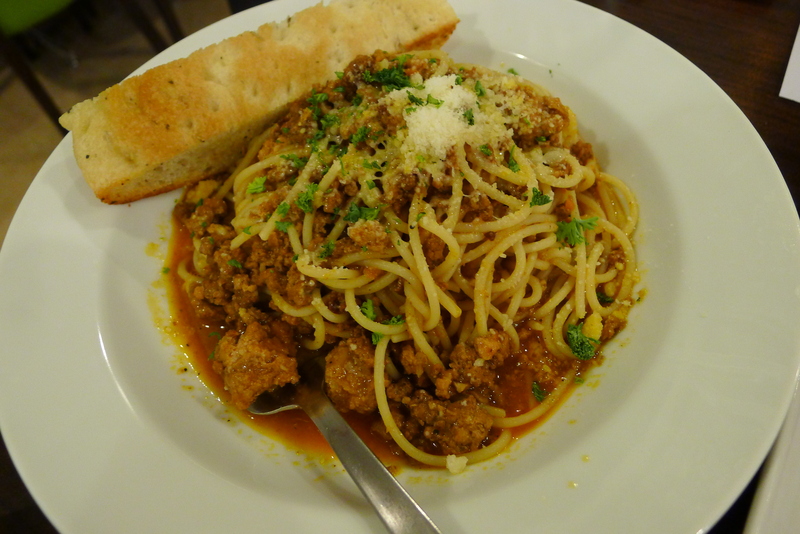 Despite the fact that most of their food was “okay”, I would probably go here again when I’m craving for pizza and pasta. A doze of an ice cream cake wouldn’t hurt also.